Yesterday marks 190 years since a very remarkable day. Sitting on the fall equinox, September 21, 1823 marked the day that the angel named Moroni visited Joseph smith, 190 years ago. 186 years ago on September 21, 1827 the plates that would become the Book of Mormon were released from the vault in which they stood, to be translated and scrutinized the world over. An amazing book it is. Yesterday marks a very eventful day indeed. I wonder if anyone else noticed. It was also a full moon. 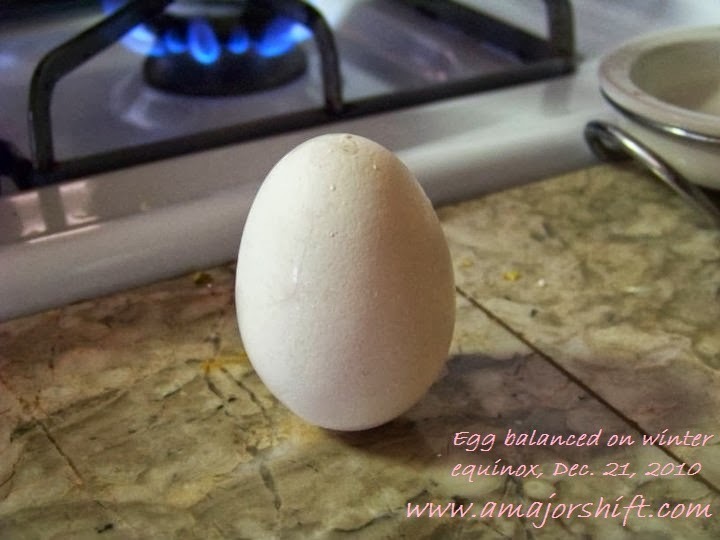 Fun fact: you can balance eggs on end relatively easily on the quarterly equinox. This one was done at my home in Utah, back on December 21, 2010. Pretty fun to give a round.